Most of us have at least one financial account that we access online, and many more do most – if not all – of their banking, debt payments, and financial communications via the net. With so many accounts at risk of being hacked, having a truly secure password is essential. Check out our expert tips for creating – and keeping – a password you can be confident in. – Use special characters like & ) ^ . 2. Test the strength of any new password. Tools like Planet MagPie’s Password Strength Tester will tell you in seconds how secure your chosen password really is. It also gives tips for helping you create a better password. 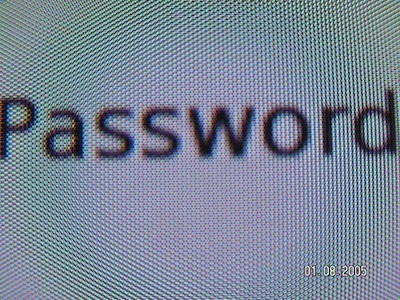 Some security experts do OK having password managing software store your passwords, however, provided you do so on your own computer and are careful to limit access to just yourself and a spouse. Never leave the program open when you are away from your computer. There are many of these types of programs on the market, including hardware solutions that act like password containing key chains so your passwords are always on you. 5. Separate your passwords. Steve also recommends having a different password for different types of accounts: one for Social Networking, another for free email accounts, another for free sign-up’s for various services, another for online financial accounts etc. This prevents the criminal from getting into all your accounts, in the event he/she is able to hack one. 6. Change your password often. Many online banking accounts will prompt you to change your password after 30- 90 days, but experts recommend you change it more often, if possible. It’s also wise to NEVER change your password as the result of an email or on-screen prompt. This can be an instance of an online scam, and can put you into the position of being hacked. It is much safer to set a day of the month (the 5th, for example) to change your passwords on your own timing. This way, you are certain that the password is being changed from your own secure log-in, not a link provided by someone else. Passwords are serious business, but shouldn’t take up too much time in the course of handling your finances. Make them a priority, and follow through with maintaining them. How do you make sure your online accounts are safe from harm? All very valid tips, however, the number of required passwords and PIN numbers is so vast these days it is very difficult to keep up with changing, let alone remembering all of your access information. I do think tip #5 is a very good one that may help with some of the memory issues. I know as I get older I forget things more easily! I agree with SPF. I have so many passwords to remember that I have now written down a list…bad I know. Some of these tips I will have to try and implement though for my own safety. I like the idea of using a false answer but I fear that I will forget what I made up. Keeping up with all the different passwords seems to be the biggest issue for most folks. At work I have 5 different passwords and we have to change them every 60 days, it is impossible for me to remember all the various passwords.